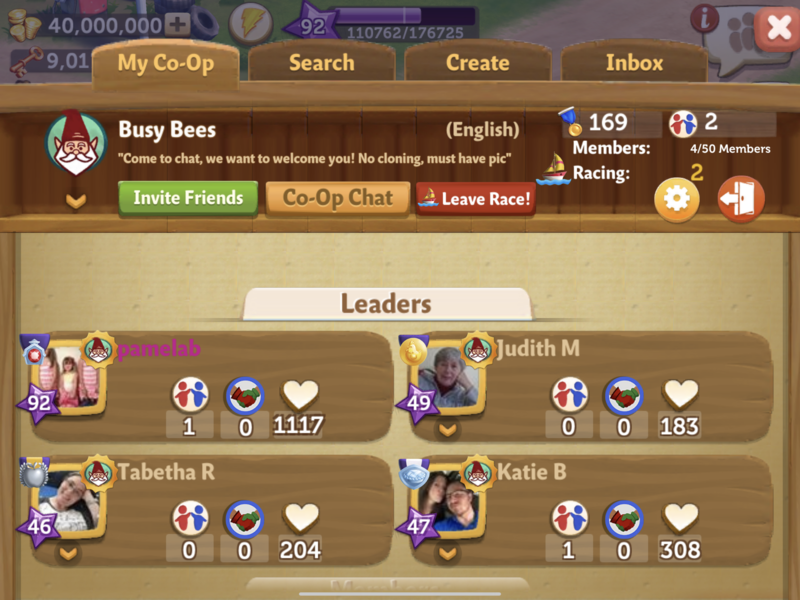 This thread is designed to help you recruit and find new FarmVille 2: County Escape Co-ops. Any post in violation of the Zynga Community Forums Rules of Conduct will be removed. Please only post once in this thread. A new thread will be started each month. 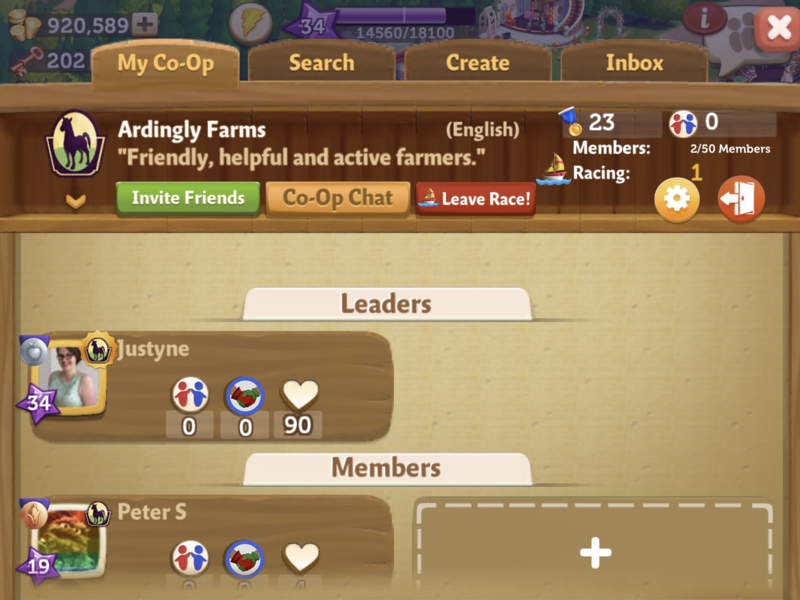 When posting your Co-op, please provide a description of your Co-op (with screenshot if possible for iOS, Android, Windows Phone, Kindle Fire so other players will be able to find it online. 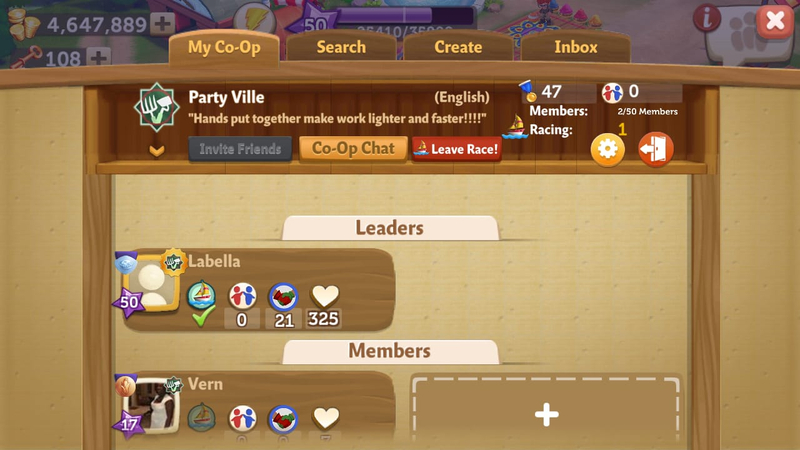 When looking for a new Co-op, please provide a description of what kind of Co-Op you're looking for or you can send a Private Message to someone who posted on this thread. 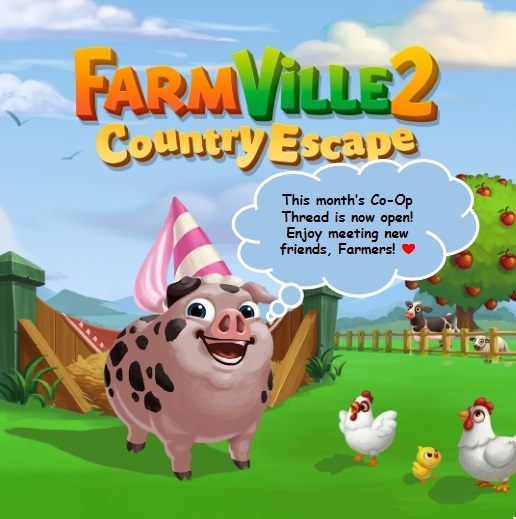 Again, we would like to welcome all the newcomers to the Official FarmVille 2: Country Escape Forums! Brand new co-OP! 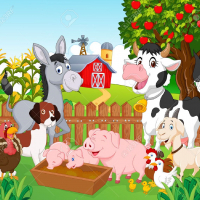 We're looking for players that like playing farmville. Started with two seasoned, actually players that just enjoy the game. Trying to keep this a drama free zone. Just a place to have fun and do your minimum requirements. Keeps everyone on the same page. We enjoy friendly banter and a warm atmosphere. We can get down to business quickly. Come join if you know how to play or just want to learn. This is a happy place for people who play to win. Brand new co op. Looking for members. Looking for members for co op.. We do boat race. Marie order board and lots more. 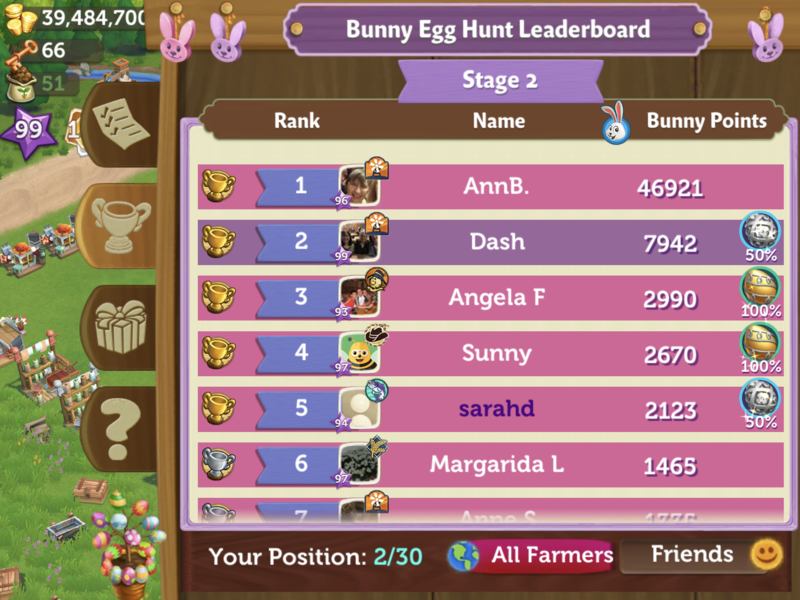 Hi I am level 67, play almost continuously, and I cannot find a coop. My name is Jennifer Senna I am on facebook. I would be helpful and contribute in any way I can. Anyone looking for new members can drop me a message. Every time I think I find a coop I search for it and can't find it. I give up because it's such a pain. I need a place!!!! @Angelz , I am the admin of our Coop and I give each member of our Coop a like after they joined. I recognize returning people by the like I once gave them. Wir sind eine Gruppe mit vielen netten, hilfsbereiten Leuten und freuen uns immer über nette, aktive Mitglieder. 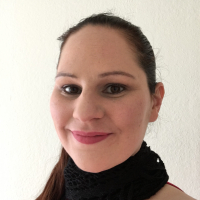 Wir machen zusammen Maries Bestelltafel, das Bootsrennen und helfen uns auch bei anderen Bestellungen und bei den Events. Come join my co-op!! Everyone is welcome. The name is Midnight Crow. We are a new co-op. Look below for more details on where to find us!! erson has more then 47000 points. Bull!! Fix it zynga!! Members wanted. 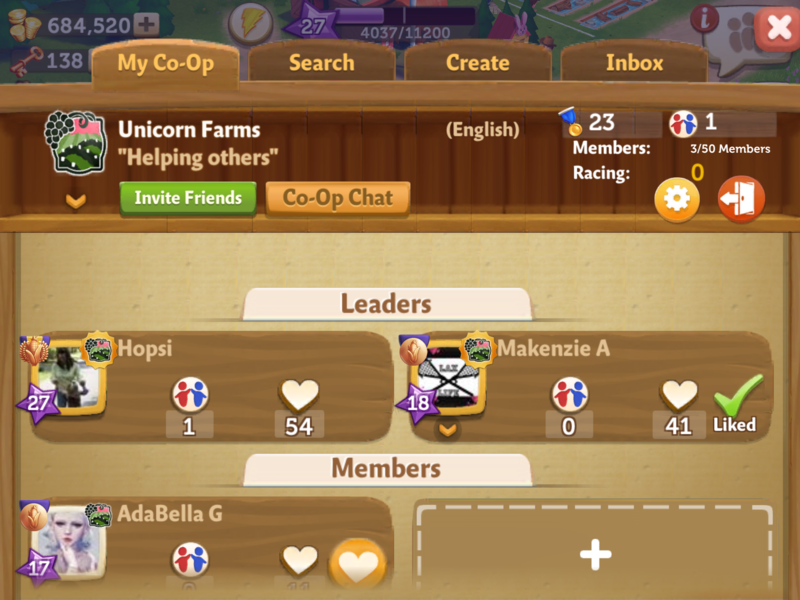 Co-op name is Unicorn Farms. Level 14 and up. chat a lot. Come join in on the fun! Ms. beautiful is the name of our co-op. We are looking for 5 players who love to play, do the Boat Race, the Co-op Board, and help each other. We help each other with events, the Mariner, and just, in general. Come hang out....we'd love to have you! Hello farmers ! Just started my co op a week or so with my mom. The name is "Lighthouse" feel free to join. Hi Farmers! Just started a new drama-free coop. 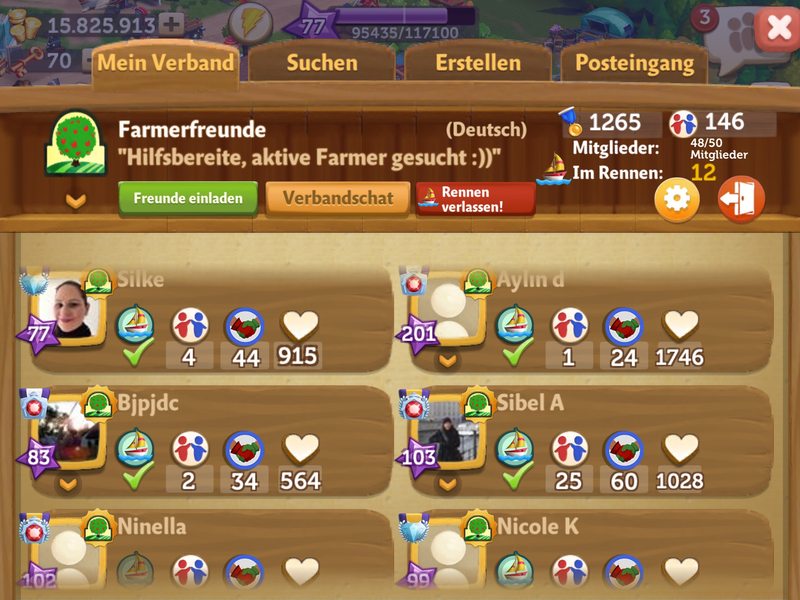 We’re looking for fun farmers of all levels to play with. Called Ardingly Farms. Come on over and join us.